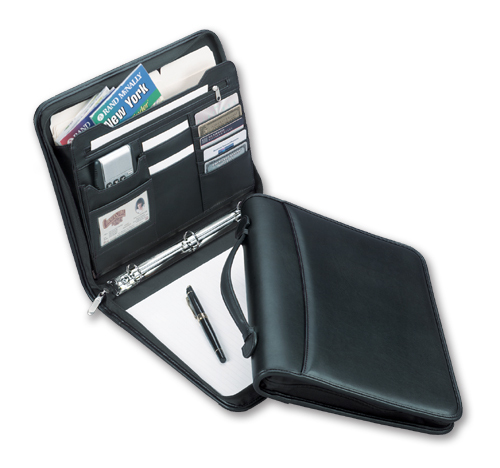 Features abound on this multi-faceted portfolio, including stitched & padded covers, spine handle, note pad, and more. • Optional Imprints: Graphikolor Vividprint or Decals. This product can expose you to chemicals such as phthalates which are known to the State of California to cause Cancer and Reproductive Harm. www.P65Warnings.ca.gov. Copyright Graphik Business Accessories | Padfolios | Wireless Charging | Journals | Binders and More.. All rights reserved.